A double-blind placebo-controlled randomized phase II trial was performed to determine whether High Dose Vitamin D2 supplementation (HDD) in women receiving adjuvant anastrozole improves aromatase inhibitor-induced musculoskeletal symptoms (AIMSS) and bone loss. Patients with early breast cancer and AIMSS were stratified according to their baseline 25-hydroxy vitamin D (25OHD) level. Stratum A (20–29 ng/ml) received either HDD 50,000 IU capsules weekly for 8 weeks then monthly for 4 months or placebo. Stratum B (10–19 ng/ml) received either HDD for 16 weeks and then monthly for 2 months, or placebo. AIMSS was assessed by the Brief Pain Inventory-Short Form (BPI-SF), the Fibromyalgia Impact Questionnaire (FIQ), and the Health Assessment Questionnaire-Disability Index (HAQ-DI) at baseline, 2, 4, and 6 months. Bone Mineral Density (BMD) was measured at baseline and at 6 months. The primary endpoint of the study was the change-from-baseline musculoskeletal pain. The secondary endpoint was the percent change in BMD at 6 months. Sixty women were enrolled. Baseline characteristics were comparable between the groups. At 2 months, FIQ pain (P = 0.0045), BPI worst-pain (P = 0.04), BPI average-pain (P = 0.0067), BPI pain-severity (P = 0.04), and BPI interference (P = 0.034) scores were better in the HDD than placebo group. The positive effect of HDD on AIMSS was stronger across all time points in Stratum B than Stratum A (FIQ pain, P = 0.04; BPI average, P = 0.03; BPI severity, P = 0.03; BPI interference, P = 0.04). BMD at the femoral neck decreased in the placebo and did not change in the HDD group (P = 0.06). Weekly HDD improves AIMSS and may have a positive effect on bone health. 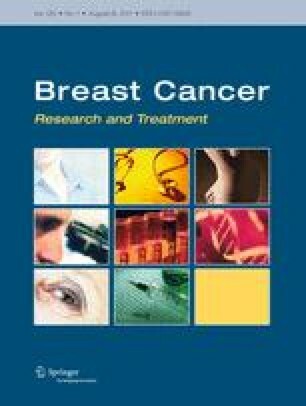 Vitamin D supplementation strategies for breast cancer patients on AI should be further investigated. We would like to thank Maurizio Corbetta, MD, Adriana Dusso, PhD, Nicholas Davidson, MD and Roberto Civitelli, MD, for reading previous versions of the manuscript and provide helpful comments. The study was supported by Astra-Zeneca.